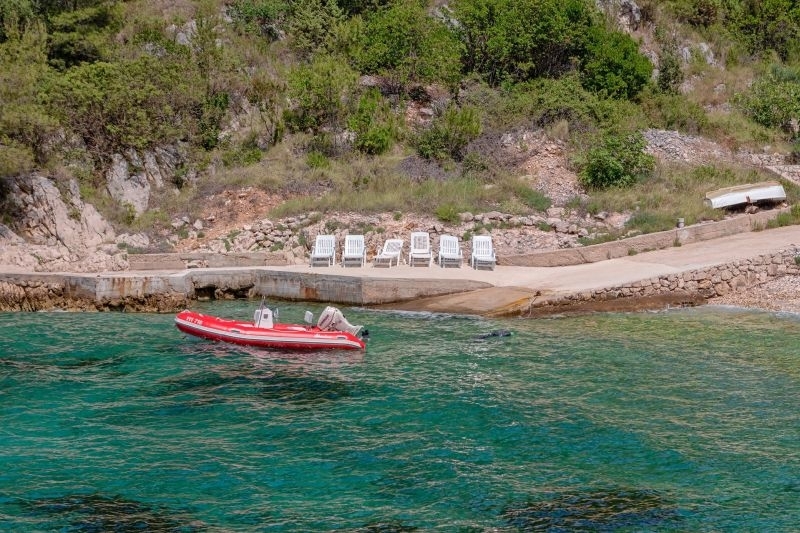 Luxury villa house sleeping 12 people is situated on its own bay which provides peace and quiet. 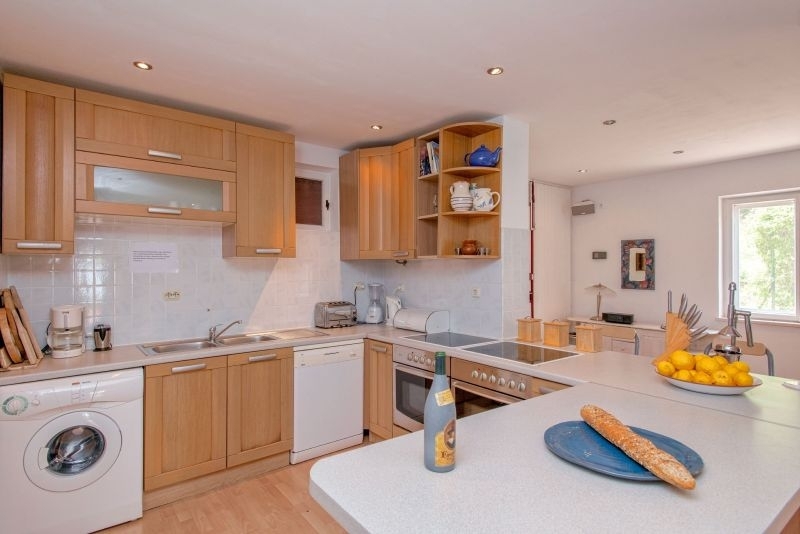 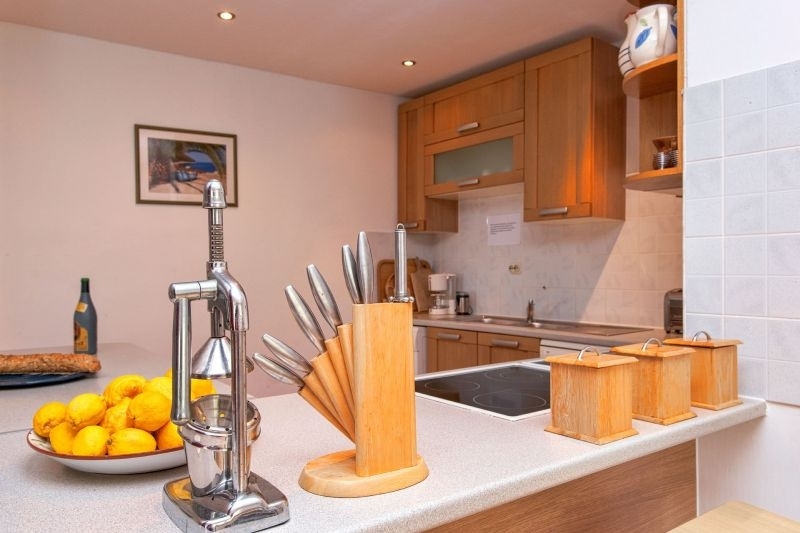 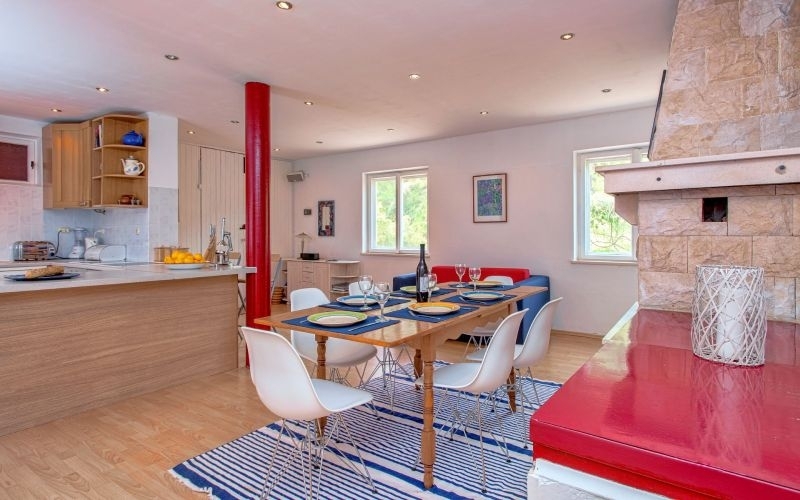 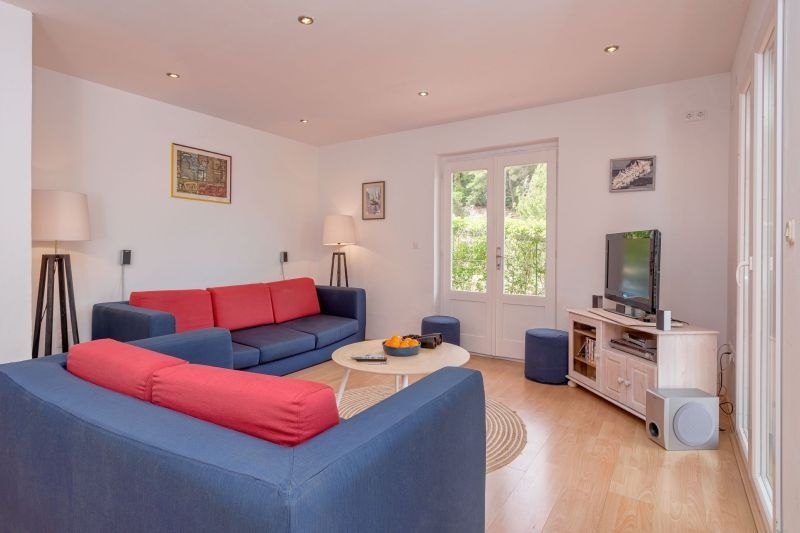 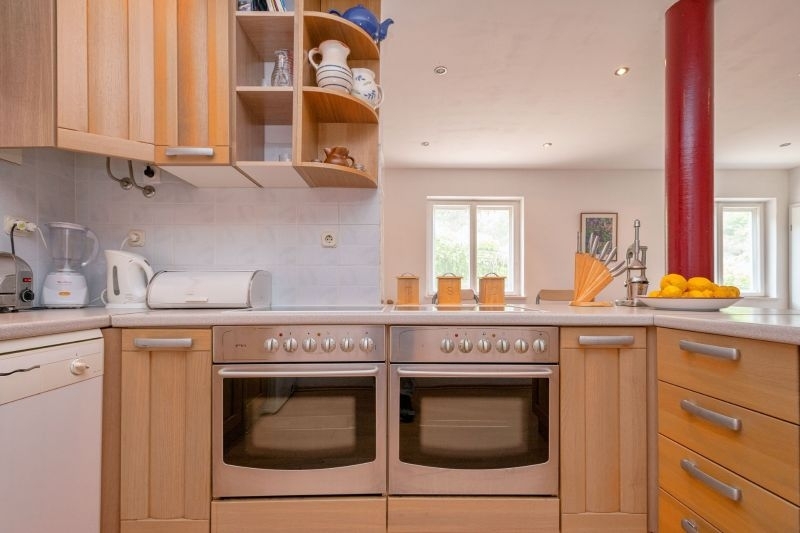 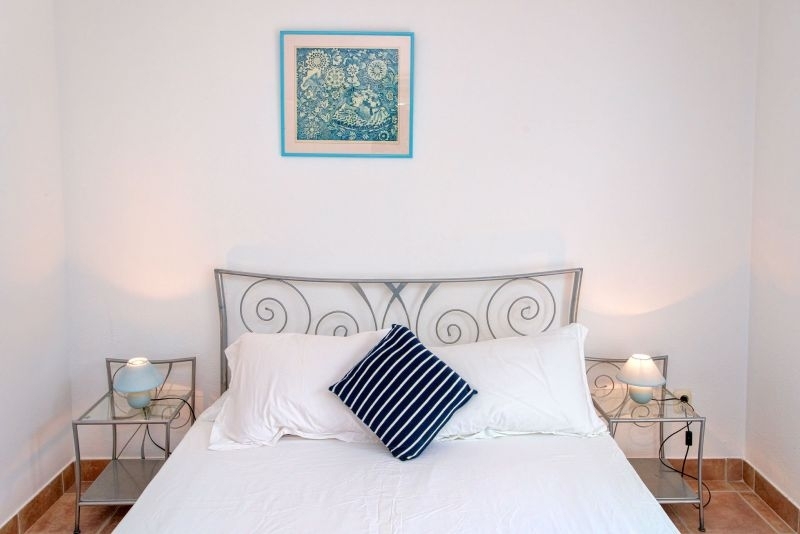 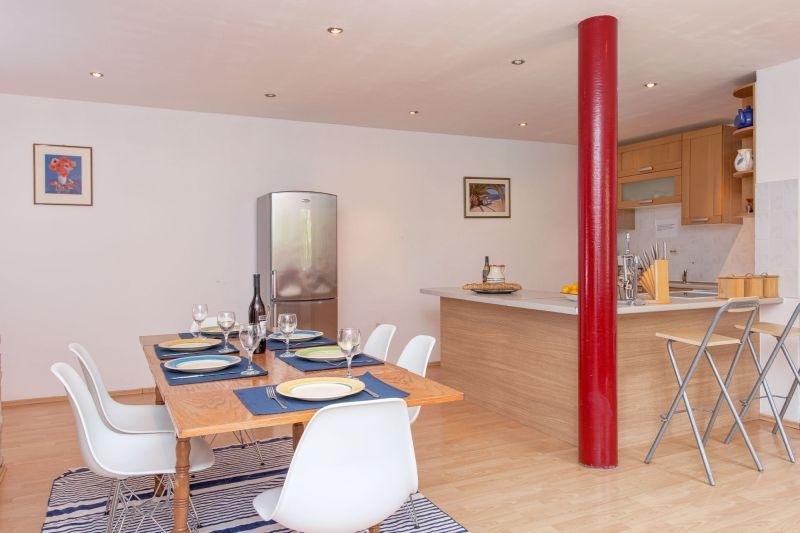 The house has been recently refurbished to a high standard and is spacious inside. 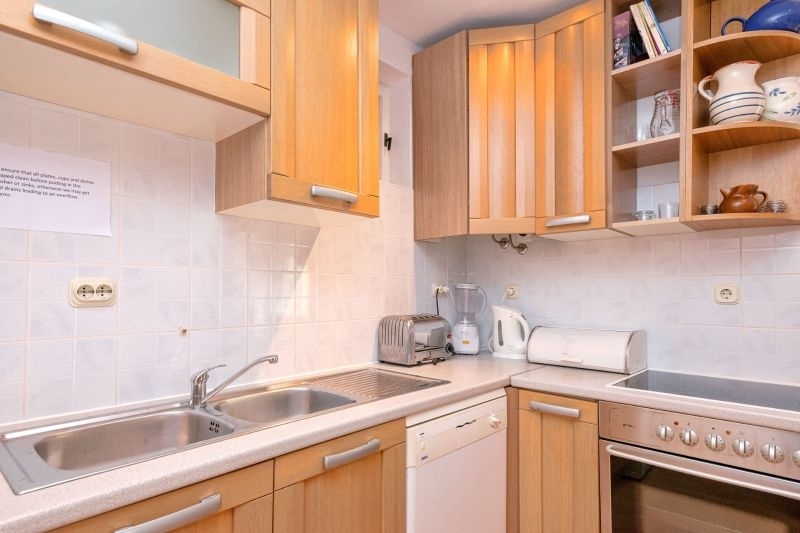 All amenties and appliances are provided. 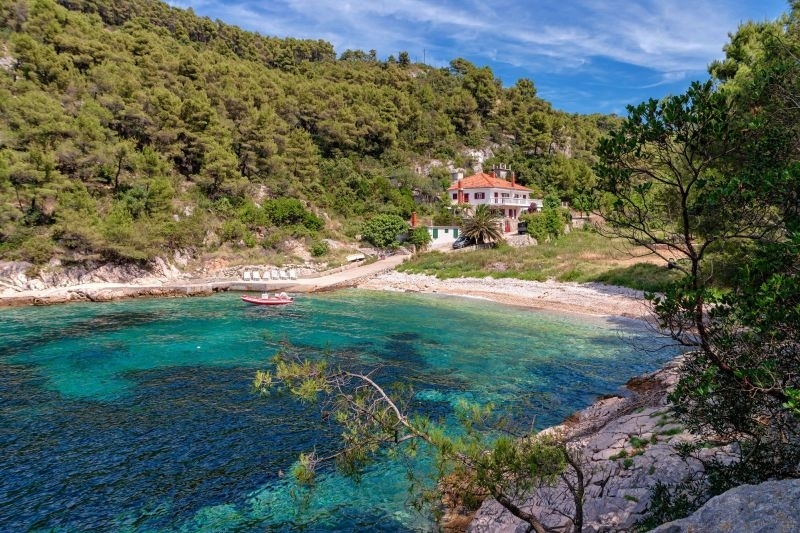 Hvar town is just a 10 minute drive and easy to access for shops and restaurants. 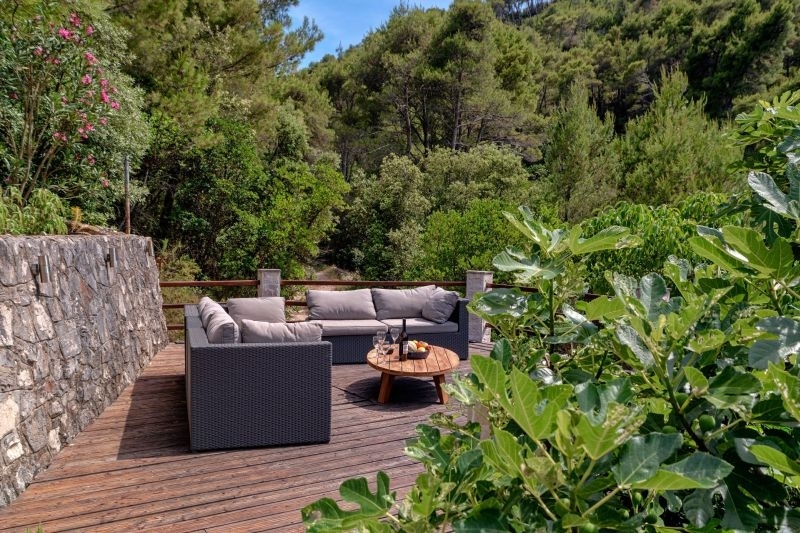 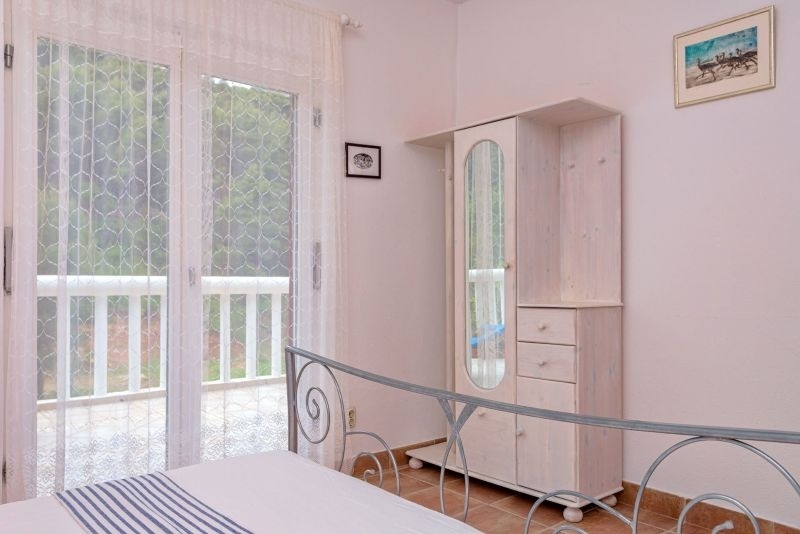 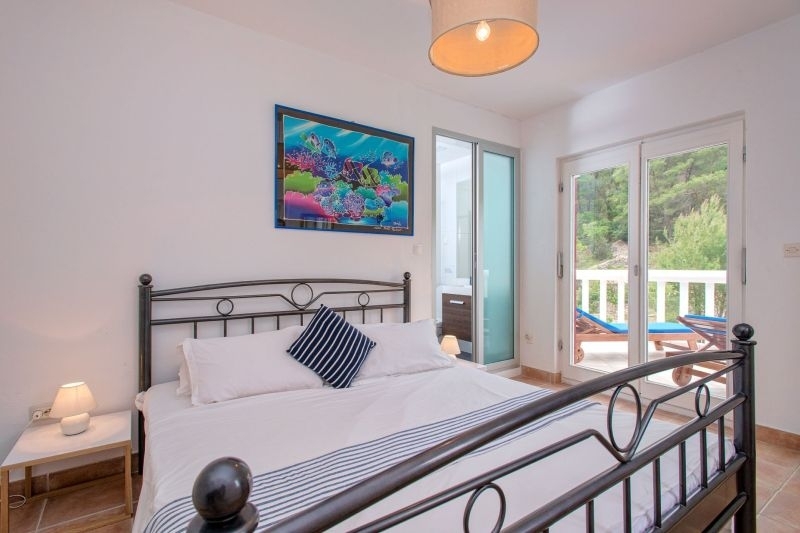 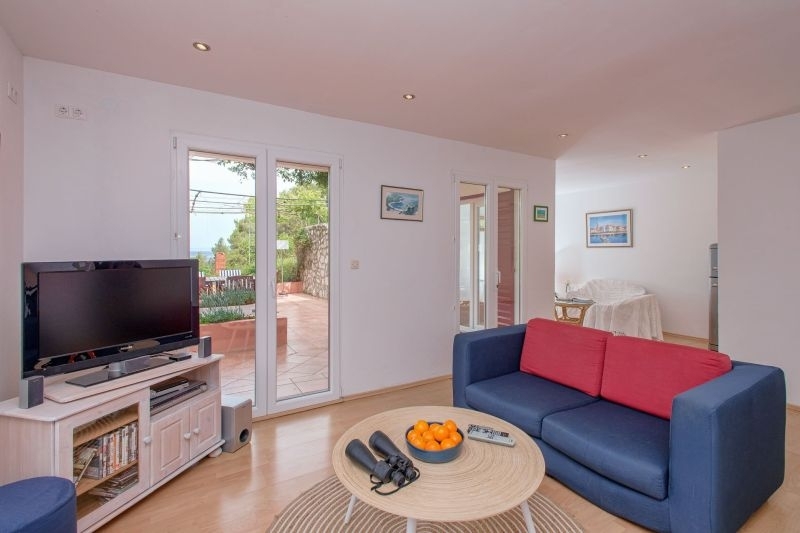 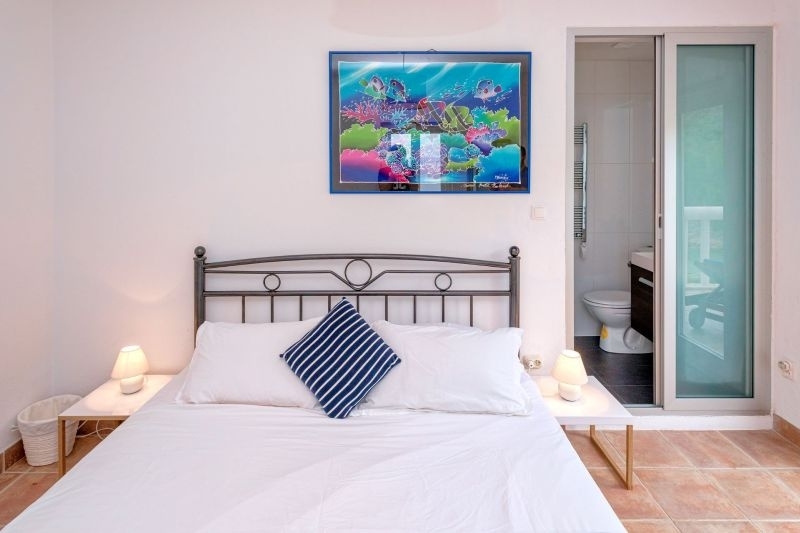 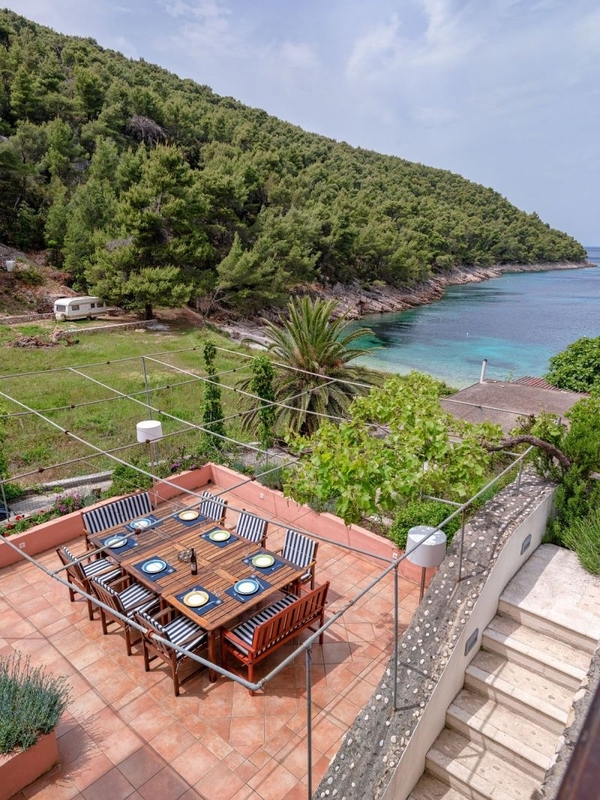 The Villa is perfect for families with children due its isolated and safe location with plenty of activities and no traffic. 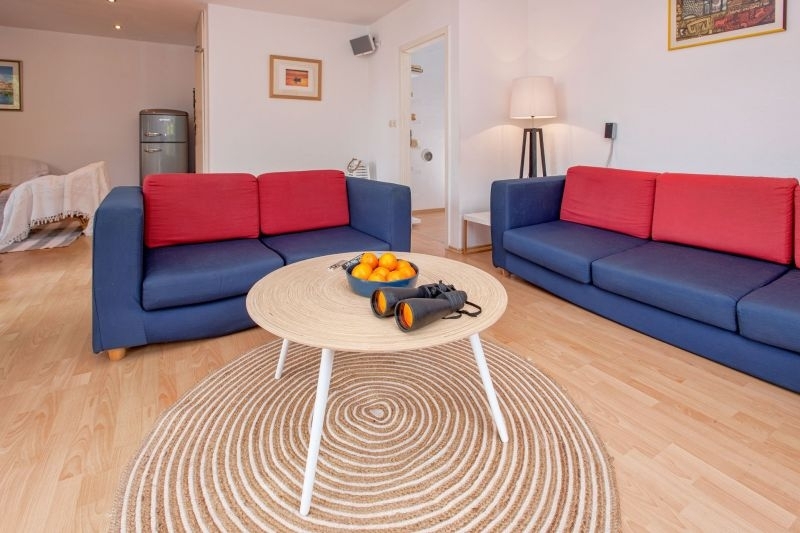 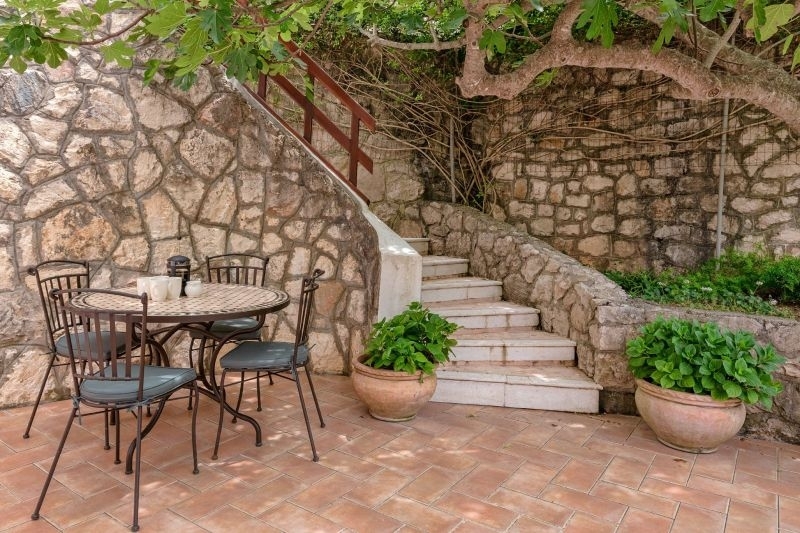 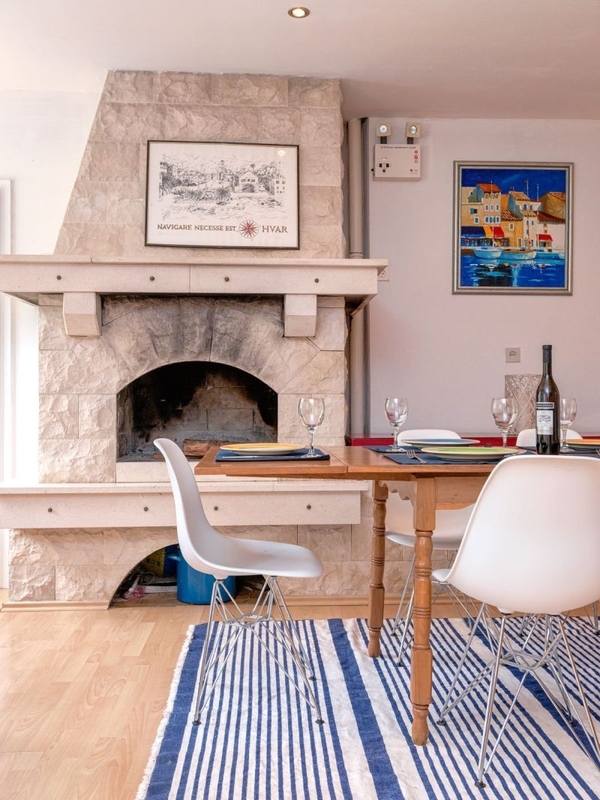 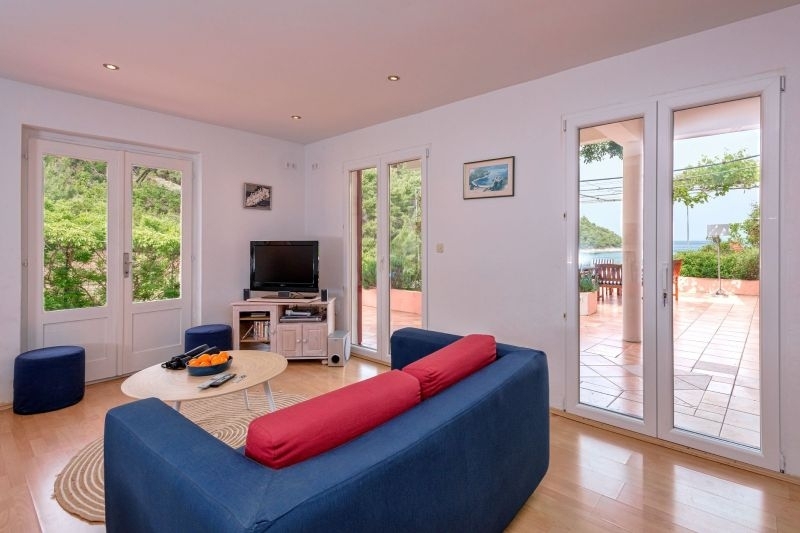 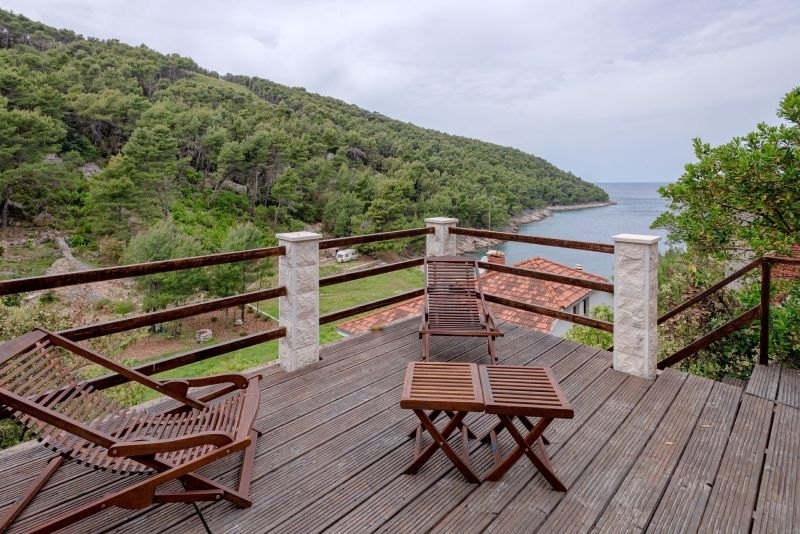 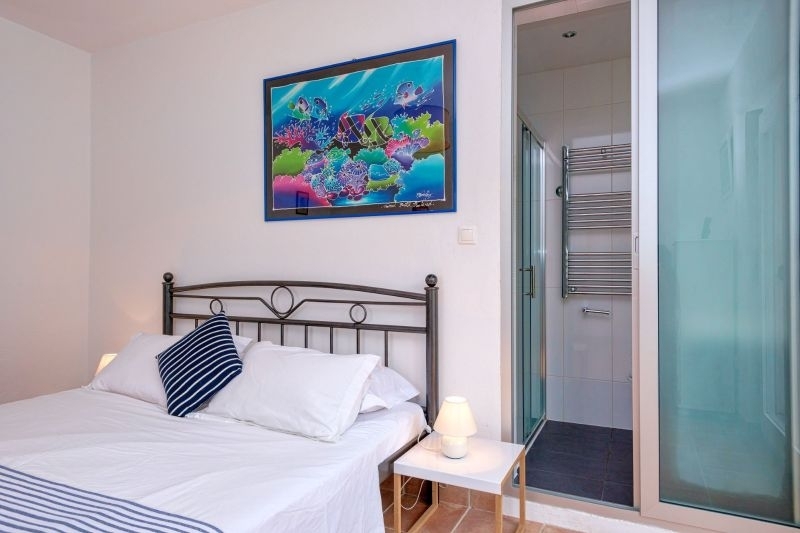 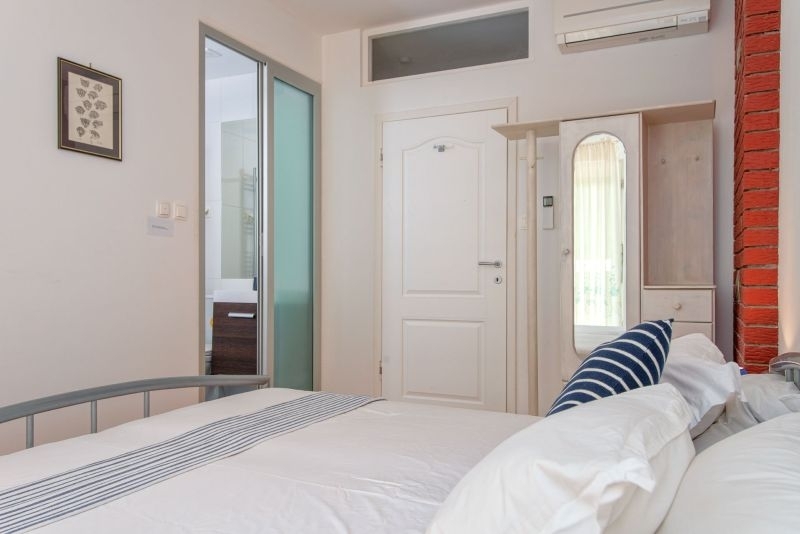 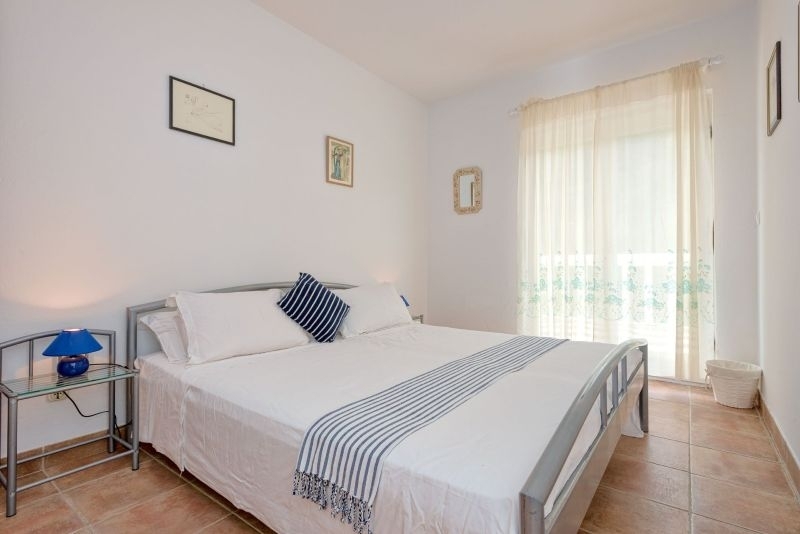 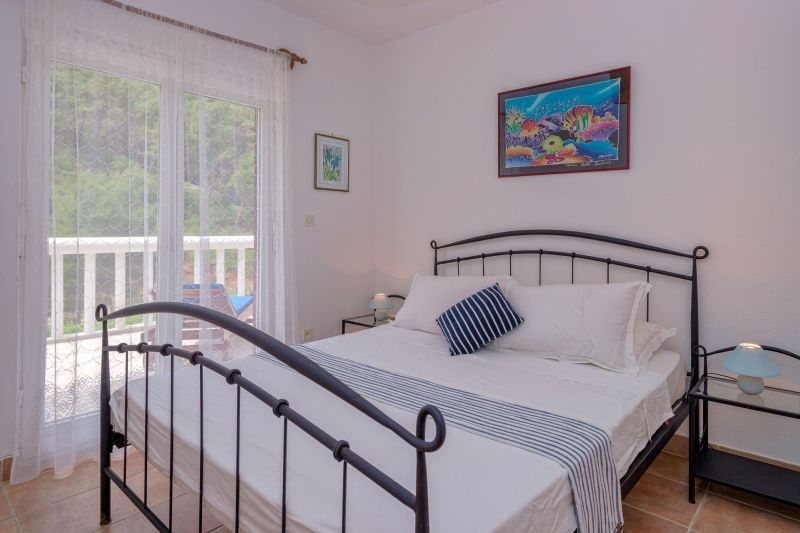 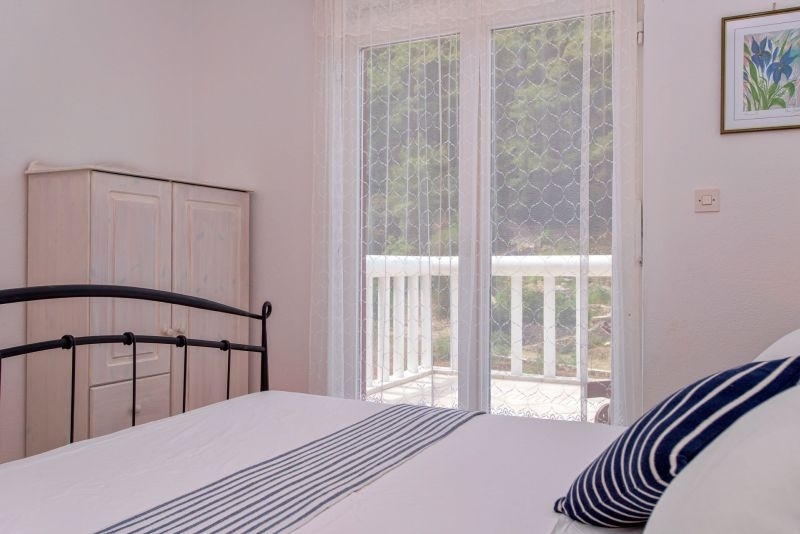 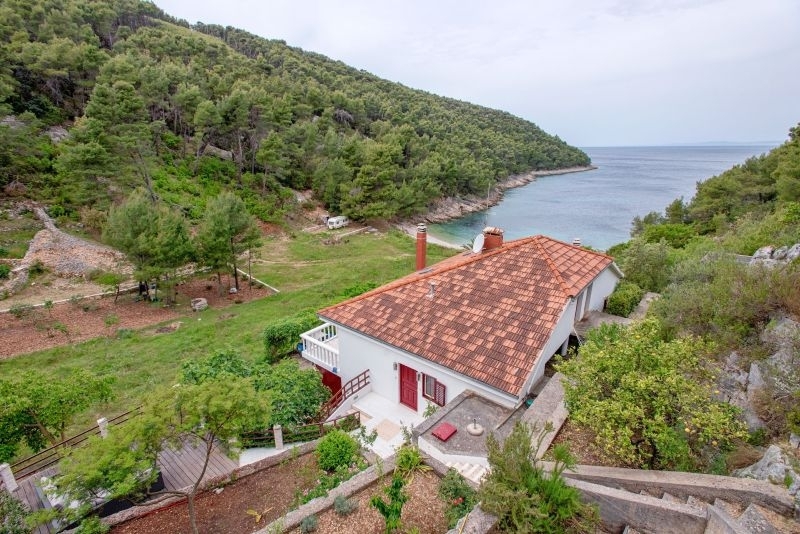 it is also great for groups of friends who want to have a huge area in which to make their own fun yet it is just a short drive from the restaurants and bars of Hvar town. 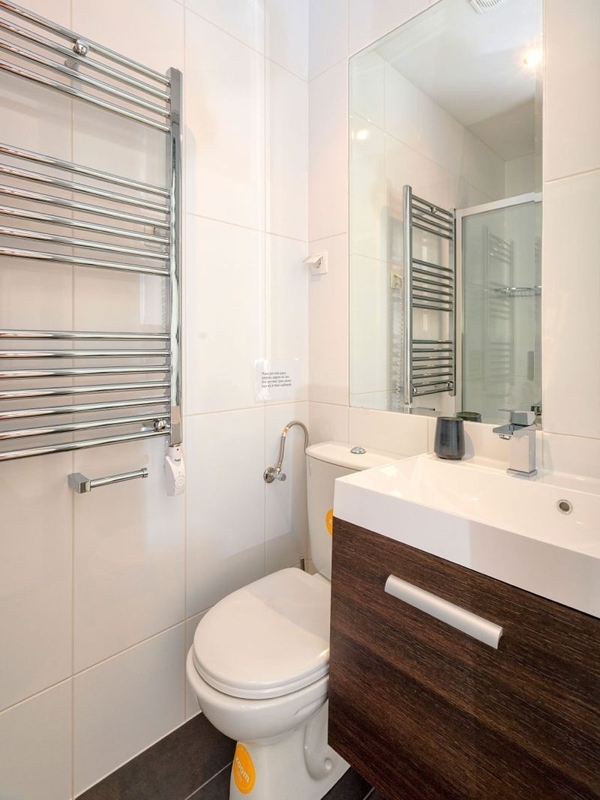 There are four bathrooms: 2 ensuite and two large bathrooms with Jacuzzi baths, separate showers, bidet, WC and granite mounted basins. 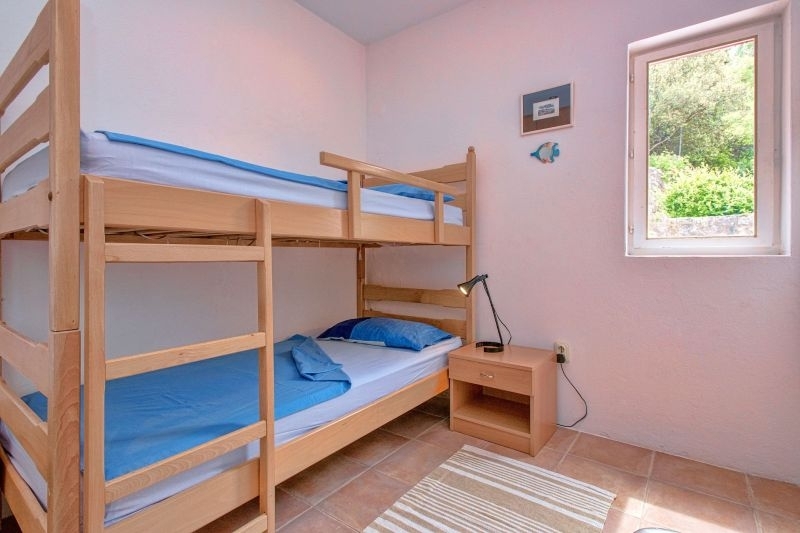 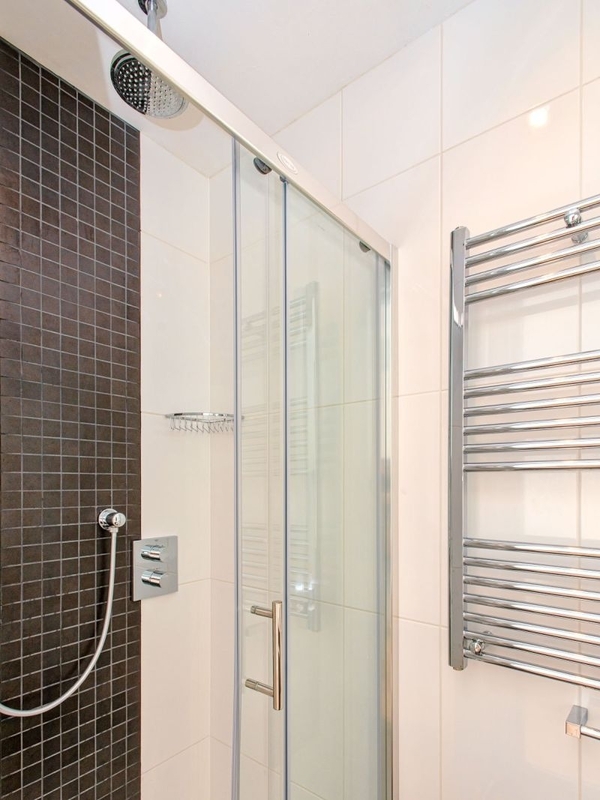 In addition there is a downstairs toilet and solar heated outdoor shower. 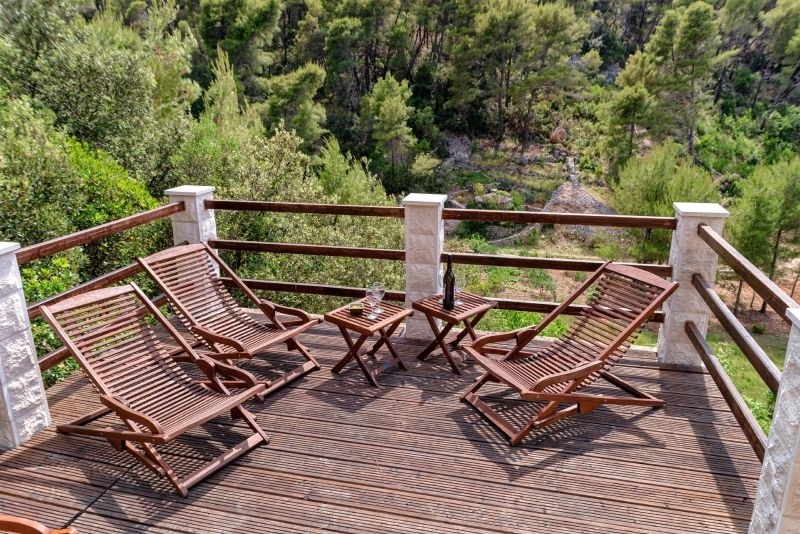 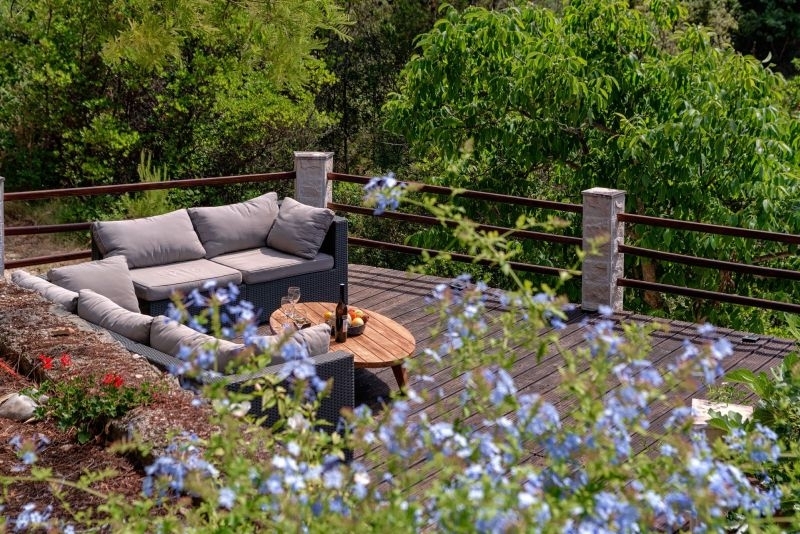 There are a large number of balconies, terraces and decks on which you can lounge and soak up the sun and atmosphere. 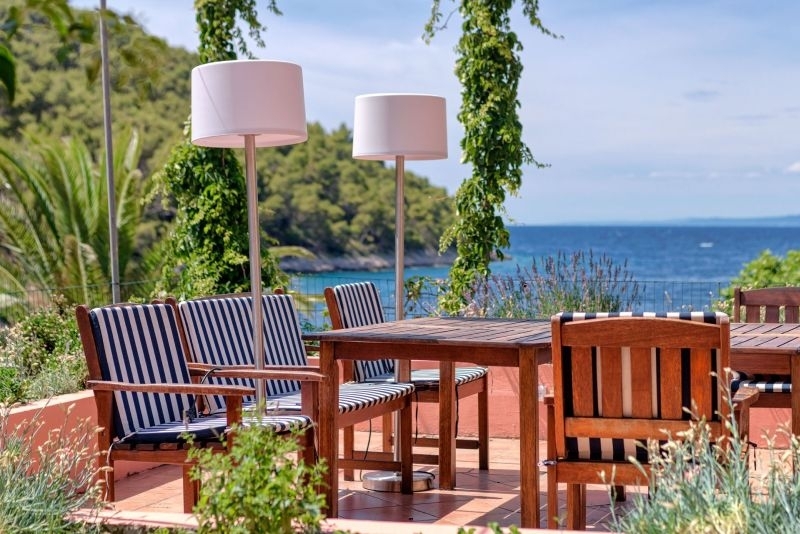 The outdoor living concept is present throughout with Balinese deck chairs on the Sky Deck, deep outdoor sofas on the Yoga deck and wooden sun loungers on the balcony. 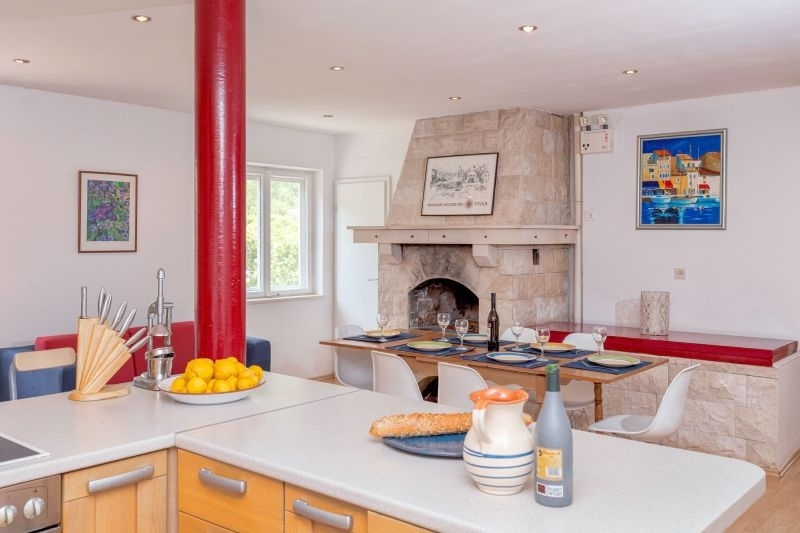 the wood fired barbecue and pizza oven is great fun and provides tasty food when entertaining.